The PFA has just announced it’s Team of the Year, which always gets football fans everywhere talking. 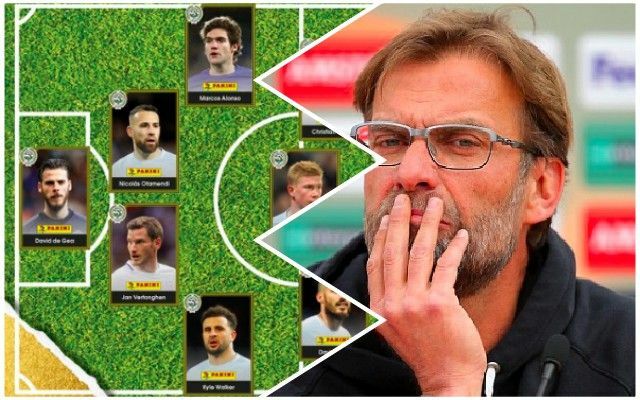 Naturally Mo Salah is picked on the right of a front-three, but we were a little disappointed to see that he’s the only Liverpool man selected, when we’re ahead of Spurs, who have three players in the XI, in the league, for example. But most of the online fury has focussed on Chelsea’s Marcos Alonso getting in ahead of Andy Robertson, though. It’s a decision labelled as disgraceful by some. The Spaniard has not played well at all in 2018, with Chelsea losing grip on the top four and many matches in the process. Robertson on the other hand has been faultless since winning a spot in the side before Christmas. He hasn’t played every game, but he’s actually featured more than Danny Rose last term, who got the nod at the time. Andrew Robertson and Ashley Young were much more worthy of the left-back spot on the TOTY. Not sure how Alonso’s made it there. Just spoke to a Chelsea fan and he said Alonso has been crap this season.. If Robertson had got in the Liverpool side earlier he'd easily be in @PFA Team of the Year. The PFA team of the year is shocking. Robertson/Young should be in over Alonso. Tarkowski has been class, he should replace Vertonghen.